The 2017 Acura RLX interior offers an exciting blend of opulence, comfort, convenience, and style. Riding in this cabin feels like a true luxury experience, but the RLX remains an accessible choice for West Hartford area drivers despite its advanced features. If you’d like to find out how its upscale interior enhances your every ride, get a closer look at the RLX inventory in stock at Acura of Avon and visit us at your convenience for a test drive. 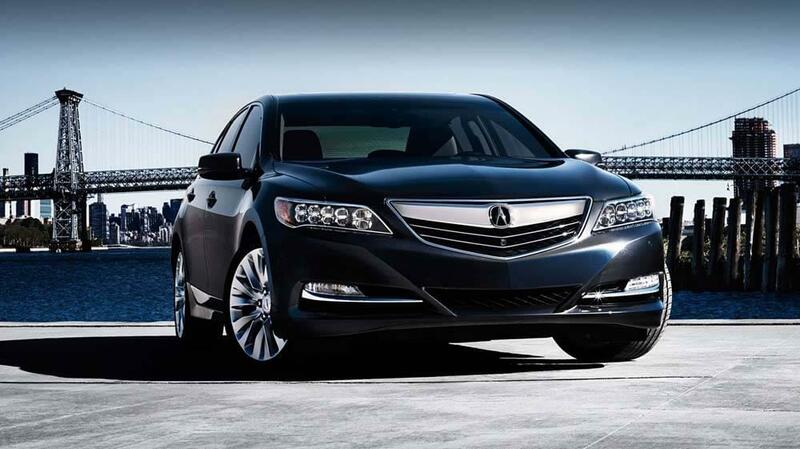 The latest RLX is classified as a midsize luxury sedan, but it has as much rear legroom as most full-sized models. This backseat is more spacious than anything else in the class. Rich leather upholstery covers all of the seating areas, giving the cabin a truly elite feel. The front seats are also available with both heat and ventilation for perfect comfort around Hartford. A 14-speaker audio system from ELS fills the cabin with full and clear sound. Expansive infotainment options also make your favorite music and talk available on the go. Leather trim throughout the RLX interior set this space apart from the average sedan. Both drivers and passengers get the distinct feeling that they are riding in something designed to impress. In addition to an excess of standard features, cutting-edge features are available to upgrade every mile you drive. A head-up display shows you essential driving information like speed and navigation right on the windshield, and GPS-linked climate controls adjust the heating and cooling based on the outside temperature and current position of the sun. Additionally, a seven-inch touchscreen puts every cabin control at your fingertips while allowing you to access information, entertainment, and guidance on the road. You can even use easy voice controls to access features while keeping your eyes trained on the road. This is a great daily driver regardless of whether you lease or finance. Make plans to familiarize yourself with the RLX interior and performance features at Acura of Avon, and feel free to complete our simple financing application at your own convenience. If you need more information about anything, don’t hesitate to contact us.